Updates to Shamima's profile since your last visit are highlighted in yellow. I have been attending college to get my degree in Human Services at UWOshkosh as a part- time student. In between schooling I stopped awhile to give birth to a son, Faysal. Another year I had to stop due to medical issues. 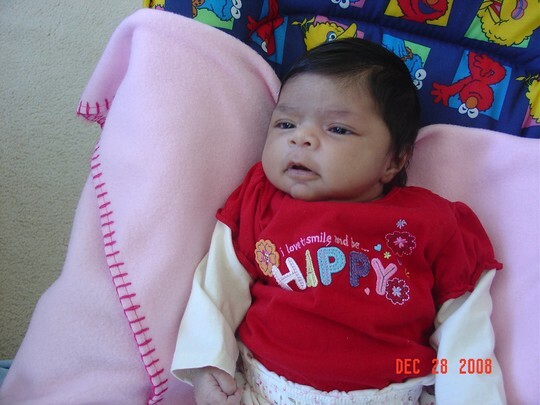 In December 2008 I gave birth to a daughter, Farahana. I plan return to UW-Oshkosh in Fall 2009 to finish my degree. Summer 2011 I planning to my internship. Graduation is around the corner. In top of all these I been married to wonderful person for fourteen years. We were married in December, the month our daughter was born. I enjoyed those open lunch hours. Shamima Rashid Amin has a birthday today. Faysal with dear sister, Farhana. Bashar with his darling daughter, Farhana. Our first family photo taken on July 2006 at a frends Indian style Wedding Party. I am having good time with Faysal. Farahana looking at camera for first time. I enjoy the position yet she is expressing Mommy I falling sleep.